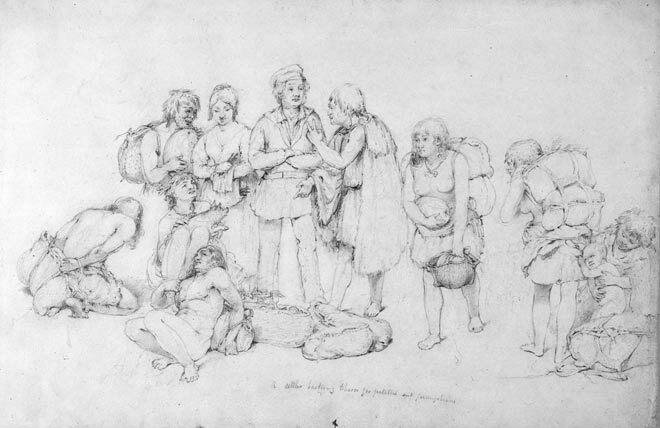 John Gilfillan’s drawing shows Māori trading pumpkin and potatoes in return for tobacco, about 1845. The arrival of Europeans opened up new economic opportunities for Māori which they were quick to exploit. In the first half of the 19th century Māori provided much food both for new settlers, and for export to Australia.